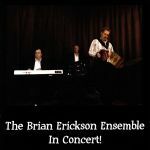 Although Brian Erickson is known worldwide as “Mr. 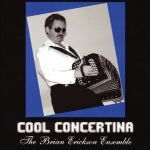 Jazz Concertina,” he did (as has been the case with many squeezebox players) start out playing mainly polkas and in fact, has been playing polka gigs for over 30 years. 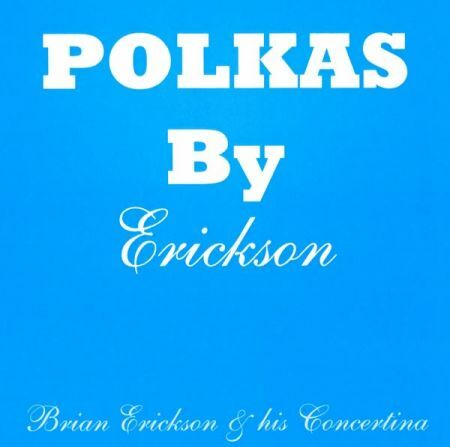 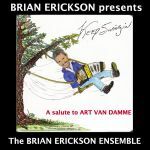 “Polkas by Erickson” is a collection of the many polkas Brian has recorded in the past 20 years. 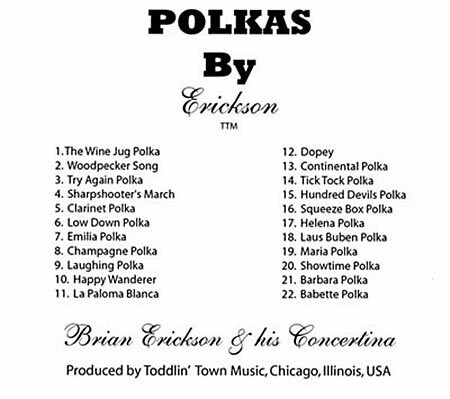 Some of the polkas on this album reveal Brian’s jazz influence… but all of the polkas on this album demonstrate Brian’s own unique and superb polka style!